Gig Bag 50% Off Or Semi-Hardshell Save $30 Or Hardshell Save $30 Bonus Promotion: Purchase an Autoharp by Oscar Schmidt from AutoharpStore.com and you'll have the choice of either a 50% off Padded Gig Bag or take $30 off your purchase when you add on either Semi-Hardshell Case or Hardshell Case. 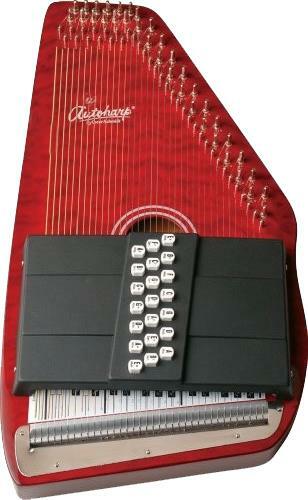 This 21- chord autoharp plays in eleven different keys. 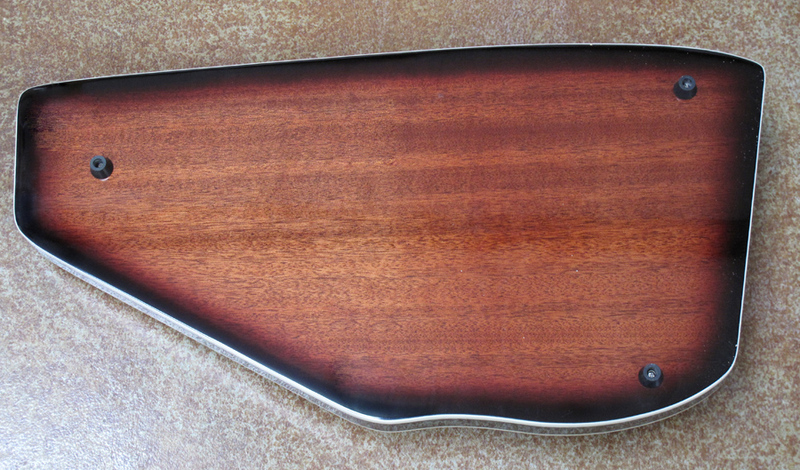 The patented chord bar configuration makes it easy to learn and to continue to play for years to come. This is one of our most popular models. 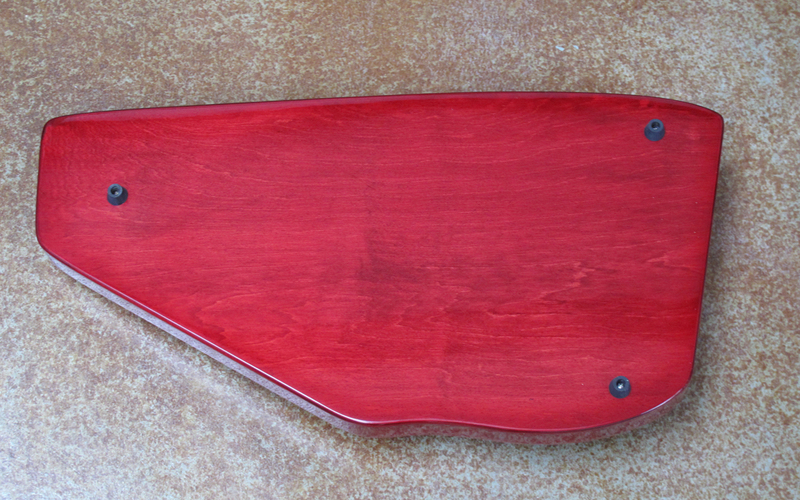 Its unique quilted red top and maple body make this 'harp a customer favorite. 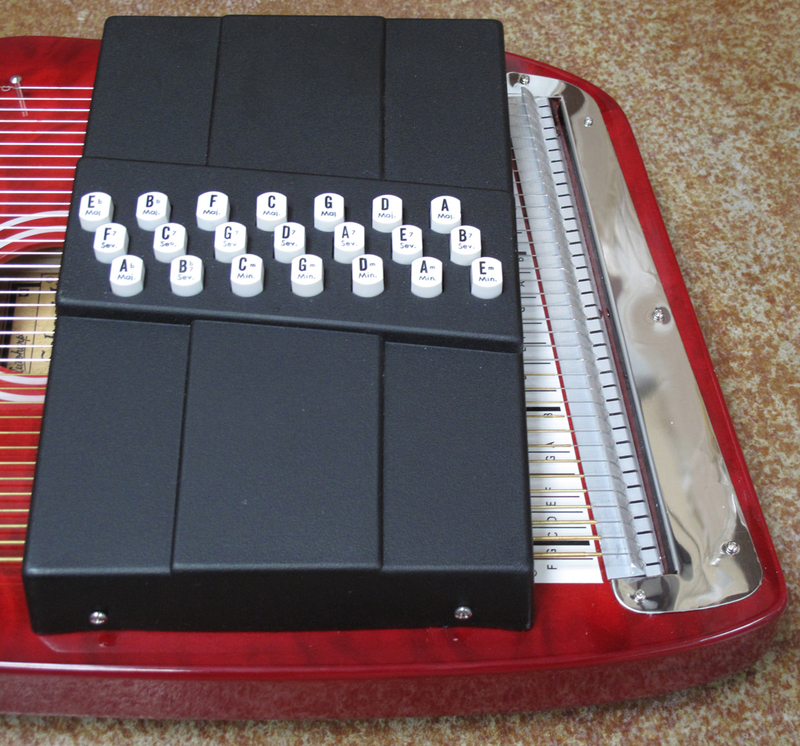 The Autoharp is one of the few musical instruments that can claim to be truly American in origin.Invented in 1881 and patented in 1882, the Autoharp has had a remarkable hundred-year history. 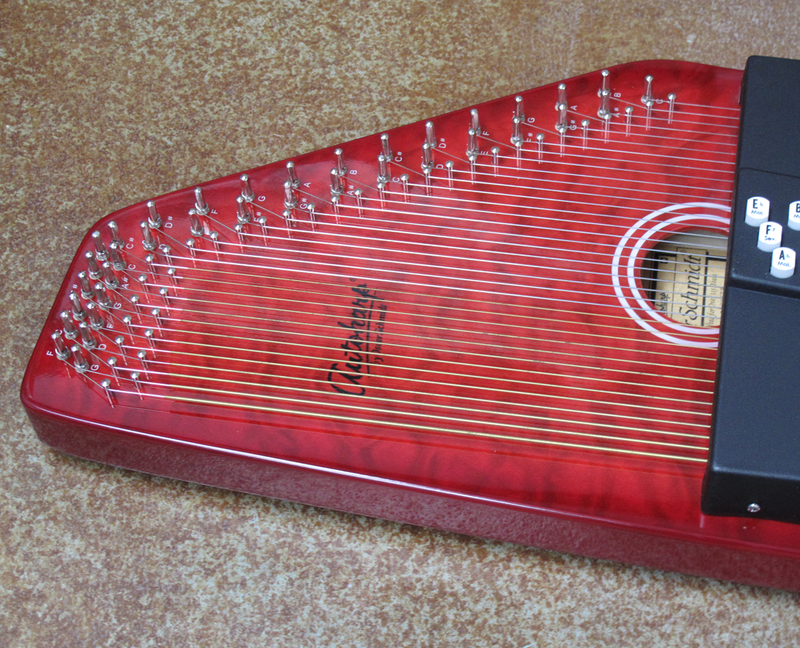 After being proclaimed “the nation’s favorite musical instrument” and then nearly fading into obscurity, the Autoharp has taken its manufacturers on an endless roller coaster of ups and downs. As a nineteenth-century parlor room favorite, it was finally replaced in popularity by the phonograph. 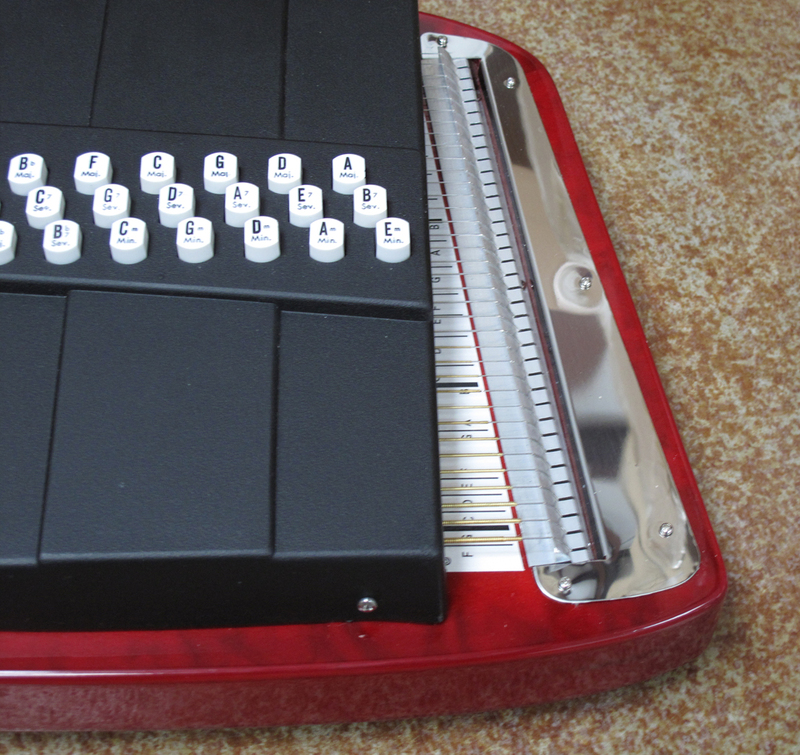 The Autoharp did not die. It retreated to the mountains where it underwent a metamorphosis from a parlor instrument to a folk instrument. From there it came out into our schools to become a classroom feature and finally, has emerged as a popular instrument for the serious musician.